In horizontal configuration, J-SAFE -J1&J2 Adjustable Clamps are commonly used to protect workers from fall over leading edges of Walls, Tanks, Bridge Parapet Upstands and Precast Beams. 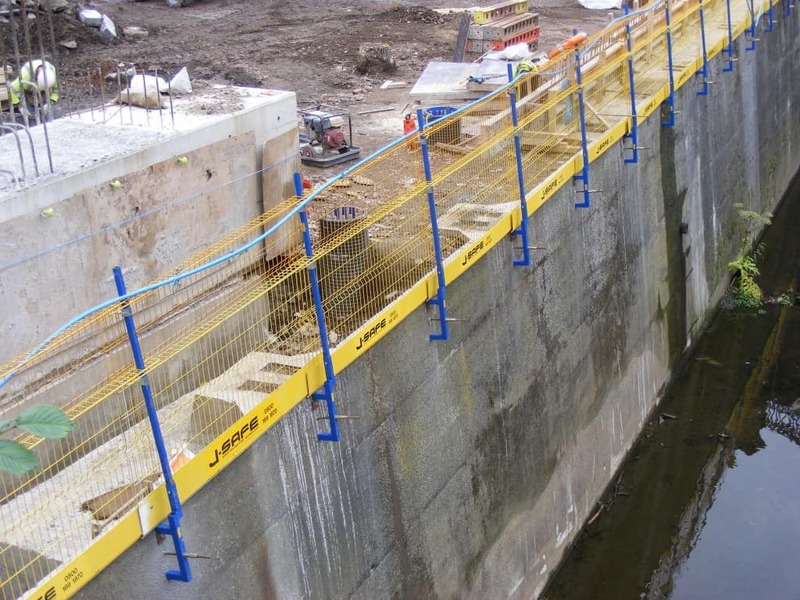 Commonly utilised on Retaining walls, River walls or Precast Wall Panel, J-SAFE Edge Protection for this application utilises a Wall Bracket- vertical post holder which is anchored into the wall face using threaded rod in resin compound for masonry or existing concrete walls, or dwyidag bar for new concrete structures utilising the dwyidag holes from the formwork system. For pre cast wall panels, a 16mm socket type anchor is cast into the concrete element. The J-SAFE system is installed at maximum 2400 centres, with the benefit of adaptability to the shape of the structure or need to avoid obstructions or projections because the barriers overlap anywhere along their length which means that wall bracket positions are not critical. 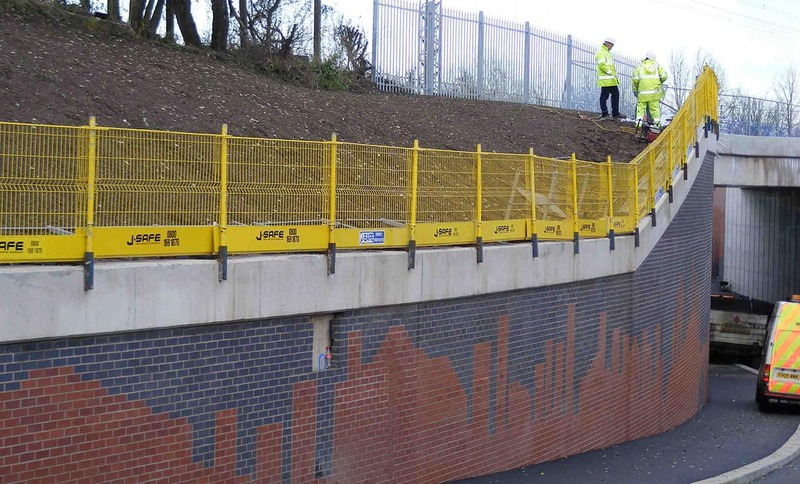 J-SAFE barriers are manufactured from steel mesh that prevents falling debris or objects and are the equivalent of twin guardrails and toe board in one component. The J-SAFE Temporary Edge Protection System utilising the Wall Bracket and the supporting assembly forms a robust continuous mesh screen around the working are protecting the workforce from the risk of a fall from height. For applications where the Wall Bracket is impractical, the J-SAFE Freestanding System could be suitable for preventing falls from walls and vertical structures.